In the art world, death can be a great career move. Consider Thomas Eakins, who was a modest commercial and critical success in life, but is now regarded as an Old Master. Many modern artists have also enjoyed posthumous success, as is the case with Steven Parrino, Al Taylor, and Jack Goldstein, the trio highlighted in a New York Times article in June 2008. 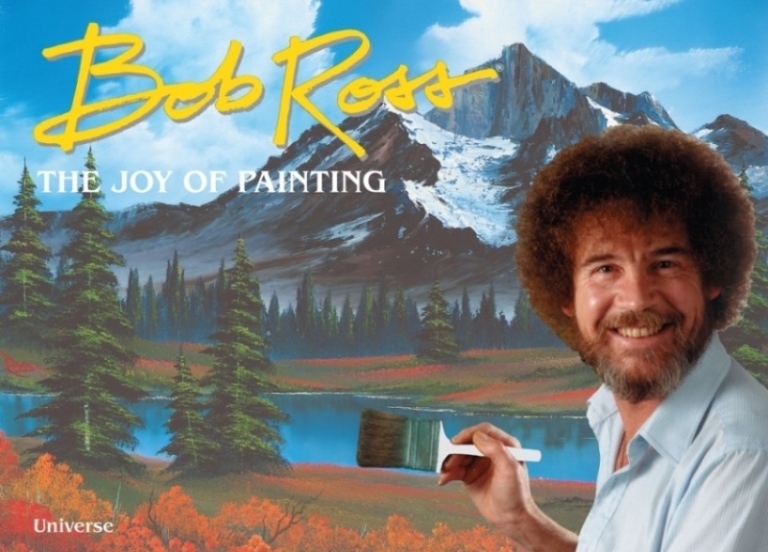 But no modern-day artist has realized greater posthumous heights than soft-spoken Bob Ross, who is now a pop-culture icon, more popular and influential, perhaps, than any current artist. One need not look far to find a certified Bob Ross instructor or instructional book, not to mention a T-shirt or coffee mug. Know too that his Facebook page has more than 1.5 million followers. Somalia After Black Hawk Down—Where Soldiers Fear to Tread: A Relief Workers Tale of Survival, John S. Burnett, Bantam.